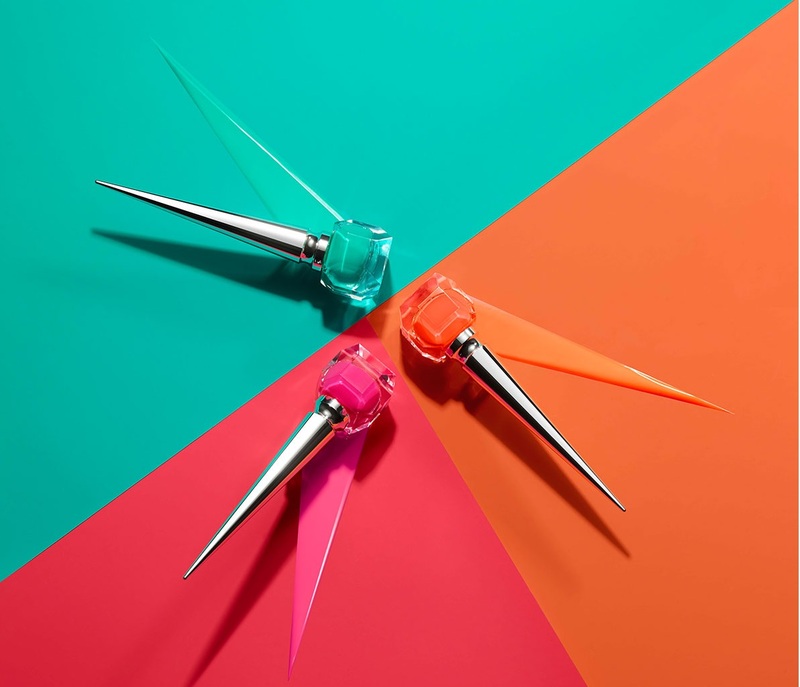 ChristianLouboutin introduces three limited edition nail Loubiflash polishes Spring/Summer 2018! 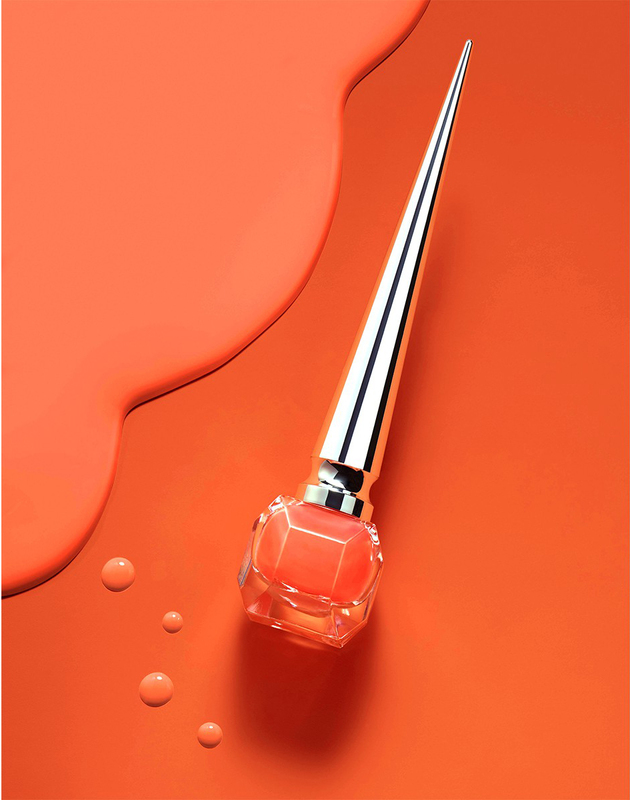 The famous shoe designer, known for his iconic red-soled shoes, introduces three ultra-bright, popping bold hues for Summer 2018. 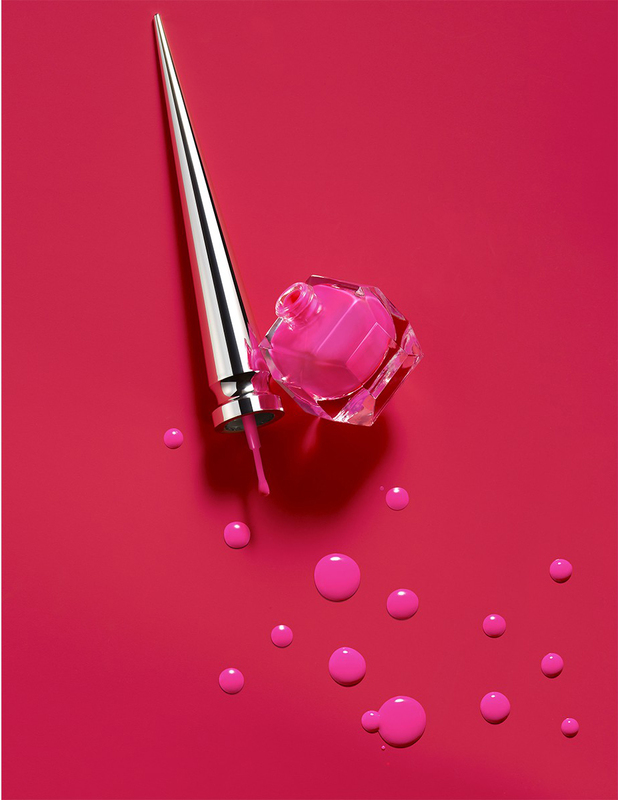 Each of the three exclusive nail colors features a densely pigmented formula that, in just one coat, delivers high-impact neon-like color. The unique formula features a proprietary pigment that results in an fluorescent color finish! 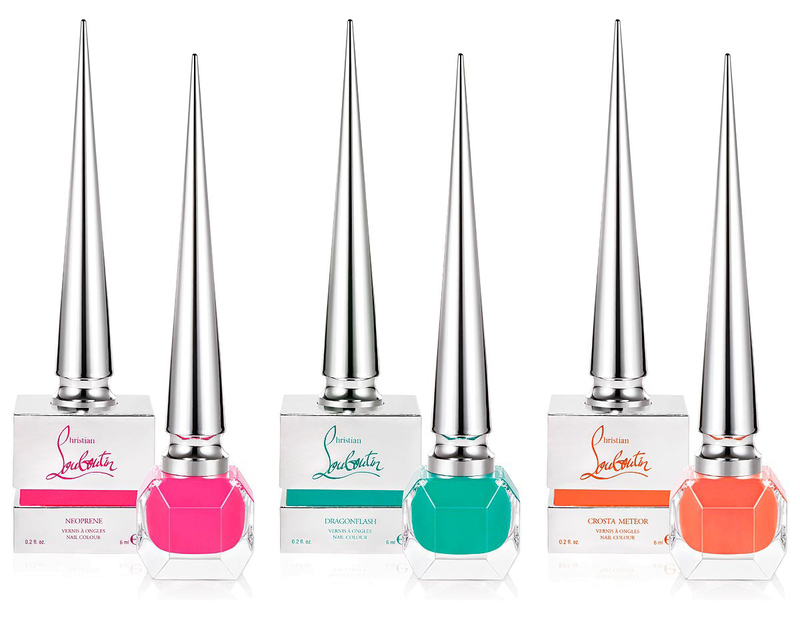 The limited edition Loubiflash Nail Collection, designed to encourage women to unleash their audacious side, is said to be inspired by the Crazy Horse Paris act “Voodoo,” choreographed by Christian Louboutin as part of a creative collaboration in the show FEU in 2012. 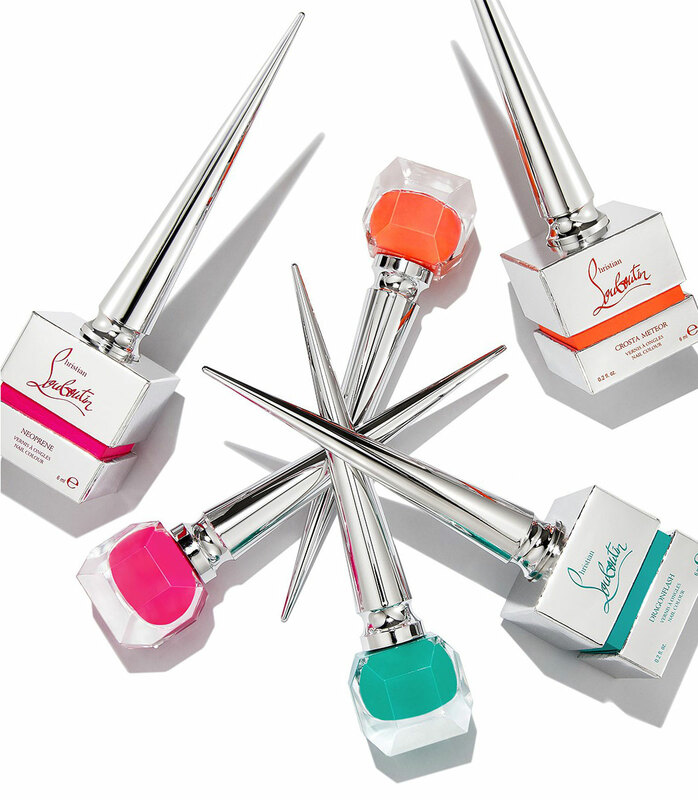 Each of the three individual miniature bottles is equipped with Louboutin’s patented triangular brush and enclosed in a silver foil box featuring a matching color reveal. 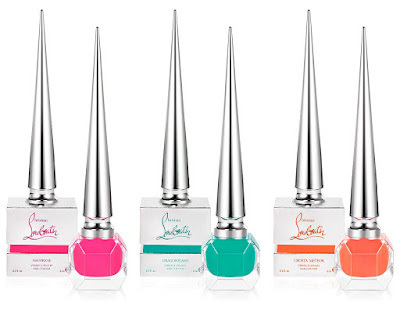 As always, Louboutin’s nail colors are free from toluene, formaldehyde or DBP.